AN ECONOMIST BEST BOOK OF THE YEAR From the author of the Pulitzer Prize-winning Gulag and the National Book Award finalist Iron Curtain, a revelatory history of one of Stalin's greatest crimes—the consequences of which still resonate today In 1929 Stalin launched his policy of agricultural collectivization—in effect a second Russian revolution—which forced millions of peasants off their land and onto collective farms. The result was a catastrophic famine, the most lethal in European history. At least five million people died between 1931 and 1933 in the USSR. But instead of sending relief the Soviet state made use of the catastrophe to rid itself of a political problem. In Red Famine, Anne Applebaum argues that more than three million of those dead were Ukrainians who perished not because they were accidental victims of a bad policy but because the state deliberately set out to kill them. 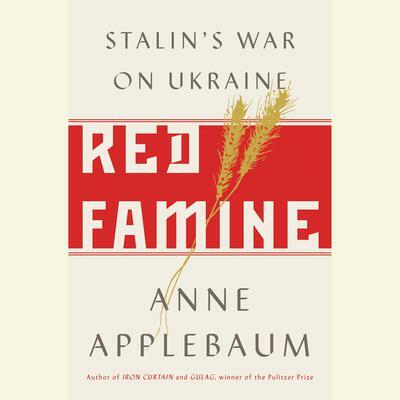 Applebaum proves what has long been suspected: after a series of rebellions unsettled the province, Stalin set out to destroy the Ukrainian peasantry. The state sealed the republic’s borders and seized all available food. Starvation set in rapidly, and people ate anything: grass, tree bark, dogs, corpses. In some cases, they killed one another for food. Devastating and definitive, Red Famine captures the horror of ordinary people struggling to survive extraordinary evil. Today, Russia, the successor to the Soviet Union, has placed Ukrainian independence in its sights once more. Applebaum’s compulsively readable narrative recalls one of the worst crimes of the twentieth century, and shows how it may foreshadow a new threat to the political order in the twenty-first. 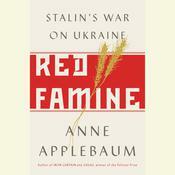 Applebaum proves what has long been suspected: after a series of rebellions unsettled the province, Stalin set out to destroy the Ukrainian peasantry. The state sealed the republic’s borders and seized all available food. Starvation set in rapidly, and people ate anything: grass, tree bark, dogs, corpses. In some cases, they killed one another for food. Devastating and definitive, Red Famine captures the horror of ordinary people struggling to survive extraordinary evil. Today, Russia, the successor to the Soviet Union, has placed Ukrainian independence in its sights once more. Applebaum’s compulsively readable narrative recalls one of the worst crimes of the twentieth century, and shows how it may foreshadow a new threat to the political order in the twenty-first. Anne Applebaum is a columnist for the Washington Post and Slate, covering US and international politics. She is also the director for politics at the Legatum Institute in London, and in 2012–2013 will hold the Phillipe Roman chair in History and International Affairs at the London School of Economics. 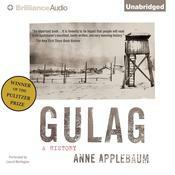 Her book, Gulag: A History, won the 2004 Pulitzer Prize for nonfiction, as well as Britain’s Duff-Cooper Prize. Anne has had a special focus on Eastern Europe and Russia since 1989, when she covered the collapse of communism in Poland for the Economist magazine. She speaks both Russian and Polish, and lives part of the time in London and part in Warsaw. She met her husband, Radek Sikorski,when they drove to Berlin together to cover the fall of the Wall. He is currently the Polish Foreign Minister. They have two children.